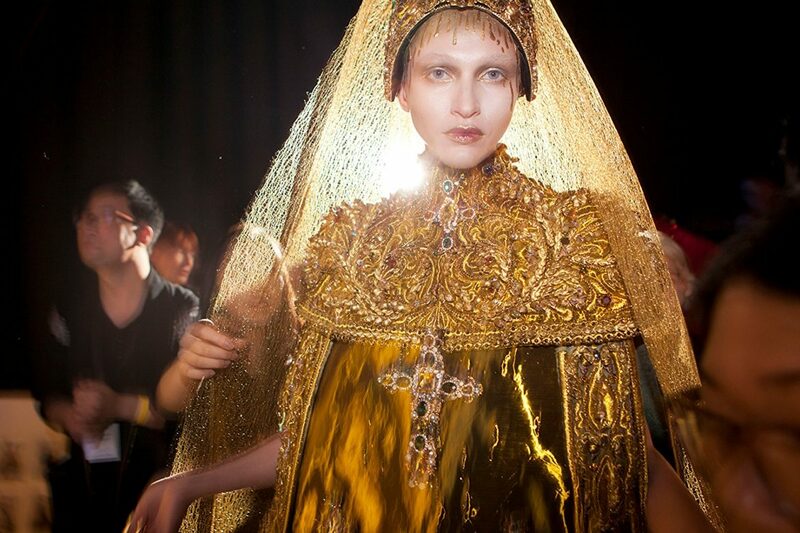 Even if unfamiliar with the world of high fashion, the term Haute Couture is known throughout the world as the highest honor a designer can achieve. With a governor board and selection process, only a select few designers have ever been given this honor, and until recently, Asian designer have been excluded - until Chinese designer Guo Pei emerged on the international stage. 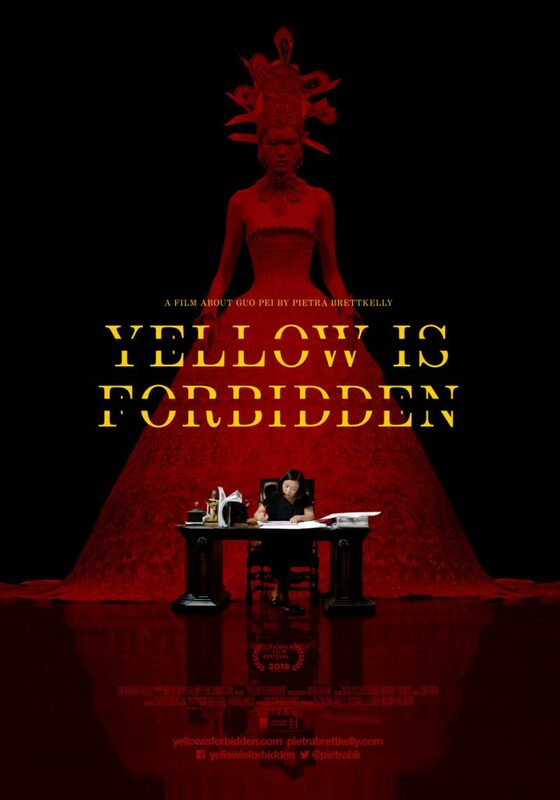 After her grand, hand-embroidered gown was worn by singer Rihanna at the 2015 Met Gala, Pei became the designer to watch in the fashion world, and perfect subject for the Tribeca documentary Yellow is Forbidden. New Zealand director Pietra Brettkelly (2015’s The Flickering Truth) can appreciate the artistic drive which motivates her subject, even if as we discussed, she isn’t a follower of the industry herself. Lesley Coffin: I’m not someone who really follows the fashion industry and I’m certainly not that familiar with Haute Couture. What is your relationship with the world of fashion? Pietra Brettkelly: I’m actually not a person particularly interested in fashion so the entire film was an education for me. Lesley Coffin: What sparked your interest in this story? Pietra Brettkelly: I like to embed myself with people who are very different from myself. I had completed my previous film A Flickering Truth. And I already knew it would be at the Venice and Toronto Film Festival. And I felt like I could kind of relax, because I knew my film already had a release. And I started to think about making another film and had read about Gou Pei’s work a few years earlier and written about these very unique shoes she has. But I was looking for a world I could capture which would be different from any that had been captured on film before. And also a world I and my cinematographer would like to spend time in. And we’ve both travel in China, making short films there, but we’ve never made a long form there. And I feel, traveling around the world, that there is this growing fear towards the middle-class of China. So I thought it could be an avenue, following this artist, to understand this culture. But what was crazy was, I was looking at my notes from a few years ago and realized her name looked familiar and realized I’d just been to the supermarket and Rihanna had just warn the dress to the Met Gala. So Pei was in the news at that moment, so I googled her name, found a phone number, and realized it was 10 a.m. in China and picked up the phone. And on the third try, I got someone who spoke English. And she’s a very private person so she was apprehensive, but being a filmmaker, I’m tenacious and finally she gave me her husband's email. And I always say to people, “No commitment, but I’d like to come and meet you.” Because when I actually get a chance to meet people, I think people get swept along by my passion. And when on the phone, there’s can be a disconnection and it’s easier to say no. But now I realize they’re such polite people, they wouldn’t refuse me. And I called my cinematographer Jacob Bryant who was upset because another filmmaker had just canceled a whole film. And I said, “Want to come to China?” And we flew out and went to her meet with Pei and her family. And soon after we started filming. Lesley Coffin: Was it hard to convince them to open up to you? Pietra Brettkelly: I’m very upfront when I meet people because it’s a huge commitment from both them and me. They need to agree to open themselves up to us personally and professionally. We need to see all the moments they’ll go through. Even if things could fall apart. And she agreed to let us start filming, and Jacob and I had brought all our equipment with us. Because every film I make, it’s just us. We don’t have sound people with us. We don’t have fixers or security or anything either. And she said we could begin, so we did. Lesley Coffin: It’s interesting that you convinced her to hop on board by showing your own passion. Because I think the passion of artists, no matter the medium, is a way to connect with people. It’s the first thing you show of her, this woman showing and talking about her life’s passion. Did you feel that connection to a fellow artist while filming? 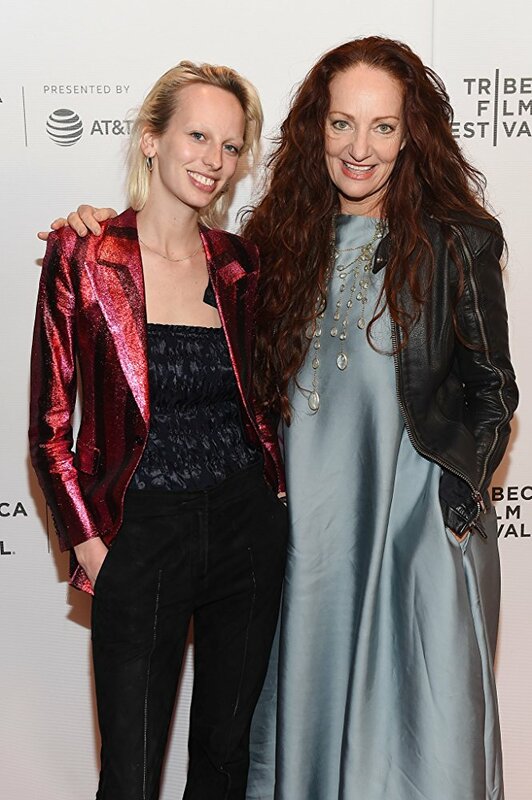 Pietra Brettkelly: I think that connection to passion has been the key to all my films, because that’s how I identify with my subjects. My connection is to try to go beyond culture, gender, religion, country and any other constructs people might see first. Because there’s a commonality between myself and my subjects in that shared passion for our work. Sometimes a passion which leads us to be selfish in other parts of our life, because they focus in on what’s driving them so completely. I admire them so immensely, because if you are given a gift and strive to realize that gift completely, that’s someone worth following. That’s a subject I’m interested in following. Because I meet so many people with a true gift who say they gave it a go and then gave up. And she’s so amazing because she has this incredible gift, but she also juggles her beautiful family and is a wonderful, respectful employer. She has 500 employees and she truly cares for them. Because we hear so many stories out of China about sweatshops and about abuses of employees. So to meet her and to see her employees was inspiring. She’s driven, but she also truly cares and is genuinely kind. And she certainly is an artist. Those models earn their money because they aren’t easy pieces to wear and it’s hard for them to walk down the runway. The runway was 100 meters long, and most runways are only 20 meters long. She’s got an incredible vision, and I wanted to share that to the world. Lesley Coffin: I saw A Flickering Truth at Toronto and so much of that film was about a society which lost part of it culture to politics, and this need for culture to preserve history. And she brings up that some of China’s cultural and artistic history has been lost due to political changes. She speaks of the absence of gold thread for decades and the art of embroidery being something she literally had to teach workers because that skill was erased after the rise of communism in China. Does she feel a responsibility to bring back or re-establish that part of Chinese culture which had been lost? Pietra Brettkelly: I think she feels that obligation to use her fashion and have it seen as art and part of cultural history, rather than just a product. She sees the value in exposing everyone to art, and I strongly agree. The fact that universities aren’t teaching art and culture the way they once were, we seem to preparing a lot of people to be lawyers, accountants and IT. But if you don’t have an appreciation of art, of all kinds, how can you be creative. And I would argue that every single person, every single profession, needs the ability to be creative to excel. If you want to succeed, you need the mental ability to be creative. For me, to examine the loss of culture and art is one of the enduring themes I want audiences to walk away with. And they may think of loss in different ways. Maybe the loss they experience in their world with the absence of art and culture is the loss of peace and calm. We have this addiction to technology, and I often feel we’re losing our ability to connect in person. And right now I don’t think we’re responding to loss the way we need to be, we’re so quick to respond to absolutely everything as quickly as possible. Lesley Coffin: It’s interesting that you mentioned technology because you captured that moment on screen when everyone’s sitting at the runway show, having this rare opportunity to see this stunning work upfront, are putting their cameras up to film the show, essentially creating their own filter of the experience they’re at. Pietra Brettkelly: That was shocking. And of course films can capture beautiful images, but even my photography can’t replace the experience of seeing those pieces, the fabric and embroidery, up-close. And I had a professional film camera, but they were doing that with their phone screens. I don’t understand why they didn’t feel it would be enough to just sit and enjoy the show and maybe write about it later on. It feels like too many people didn’t appreciate their experiences, like they arrived and sat, but were just waiting to leave to do the same thing at the next show. Lesley Coffin: And you wonder how much they can appreciate the work she puts into these pieces. Pietra Brettkelly: Yes. But the good news is, her work’s now traveling to museums and can be seen up close. But there’s nothing like seeing it move, seeing the way light reflects on the fabric and see how the model wears it. I have to say, as an outsider, the audiences who get to attend those shows…I just don’t know if they understand the privilege they have to see those pieces of art walking past them.